The paper highlights the duties and responsibilities of a medical physicist in a modern nuclear medicine facility. The physicist involvement in choice of equipment, quality control, computer analysis, research, training and radiation protection are discussed. Accidents with radiation therapy patients, when they happen, have a high probability of being very severe. This paper describes an accident involving the over exposure of several patients submitted to electron therapy in a linear accelerator of a University oncology center that occurred in November 1996. As a result of a frequent false flatness/symmetry (flat/sym) interlock problem with the electron beams of a Mevatron-74, the radiation technologists had autonomy to access the control panel and reset the ion chamber counts, and also to operate the machine in the non-clinical mode. Unfortunately at this particular time, the switch programming/normal (prog/normal), that is only used during maintenance and to program the physical parameters for each energy was left activated. This means that the machine has been used with the settings shown at the potentiometers; in this case the setting for photons. The electron transmission chamber was not able to handle the excess of fluence and it was only registering a saturate ion voltage value until the electronics fall-down. As result of this, several patients have received an excess of dose, reading 1840 cGy in a single session. This caused severe acute reactions and late necrosis. 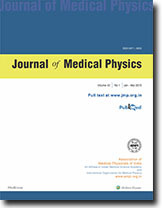 The lessons learned and pointed out in this paper are to be strongly considered by the radiation oncology centers, the maintenance companies, the machine manufacturers and the regulatory agencies, in promoting the adoption of comprehensive quality assurance programs as well as a clear definition of the chain of responsibilities for the staff. The paper discusses the role of Mme. Curie and Pierre Curie in the discovery of radium. Details of ' the experiments, hard work and radium applications in medicine, radium hazards and current status of use of radioisotopes in brachytherapy are discussed. The present paper embodies the results of a study on absorbed dose in mammography. A survey for estimation of dose in mammography was conducted in a region of the north east of ltaly in 20 mammographic centres in hospitals, private and public clinics. The mean glandular absorbed dose in every mammographic centre was estimated using a 4.6 cm thick breast phantom in the presence of compression device. For this purpose. KVp, mAs, and film-focus distance values were selected to optimize the phantom's image. In these conditions, the exposure at the entrance of the phantom was evaluated. A comparison was made between two different methods, based on the entrance exposure values, to calculate the mean glandular dose at each mammographic facility. Taking into account all the mammographic examinations performed in one year in 20 centres, weighted mean glandular doses of 1.5 and 1.6 mGy were obtained with the two methods. The results have been discussed. The optimization of image quality has to include aspects dealing with "information content" in addition to physical parameters such as density, contrast, blur and sharpness. There is a need for development of criteria based on anatomical visualisation and diagnostic efficacy for better interpretation of the chest image. The work included design of proforma; one for scoring the image quality based on extent of visualisation of anatomical structures, and another for evaluating the diagnostic efficacy based on grading the information in different regions of interest. These criteria were used to compare the image quality of chest radiographs taken with conventional and high kV technique. 57 PA chest films taken by conventional technique (55-80 kVp, 20-40 mAs, 6 fl. distance) and 48 films of high kVp (125 kVp, 5 mAs, 10-12 ft. distance) were graded. In addition, comparison of films of 16 patients taken by both techniques was done. Using the grading proforma, the scores for high kV technique were found to be better than those for conventional technique (95 * 4% vs. 78 * 17%), which also depict lesser variability in image quality in high kV technique (smaller standard deviation). Three areas were found to have poor score in conventional technique, namely, trachea which had optimal score only in 35% cases, retrodiaphragmatic lung tissue in 34.7% and spine in 33.8% cases. The scores of these areas got increased to 86%, 64% and 59%, respectively, in high kV technique. This was achieved without compromising on scores of other areas. Criteria for evaluating the image quality and diagnostic efficacy been developed and utilised for evaluating and comparing the scores of chest radiography by conventional technique and high kV technique. The optimisation of weak areas depicted in conventional technique by high kV technique was demonstrated. The radiation doses due to X-ray radiation of 26 diagnostic installations in Dhaka city have been measured using thermoluminescence dosimeter (TLD-100) and portable dose rate meter. General information about every installation has been recorded. Measurements have been carried out for patient's entrance skin dose levels for various types of X-ray projections and for dose rates at some specific locations (e.g., control panel, inside and outside of the door). The organ and effective doses have been estimated by using a computer program PREPARES. Doses for six organs for female and four organs for male patients have been estimated using this program. The present measurements will provide a useful baseline for future measurements and will be used to evaluate the collective doses to the population from medical exposures and the radiation risks from the various radiological procedures.